Year-round healthy exciting fun for boys and girls ages 5 and up. 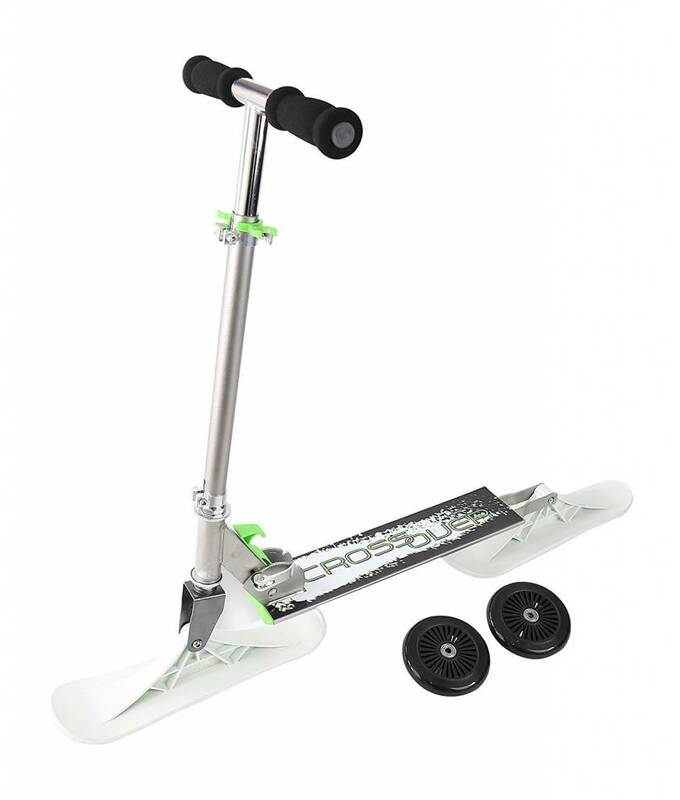 Features swappable skis and wheels. Use the skis in snow conditions and swap them out for wheels when the snow melts. 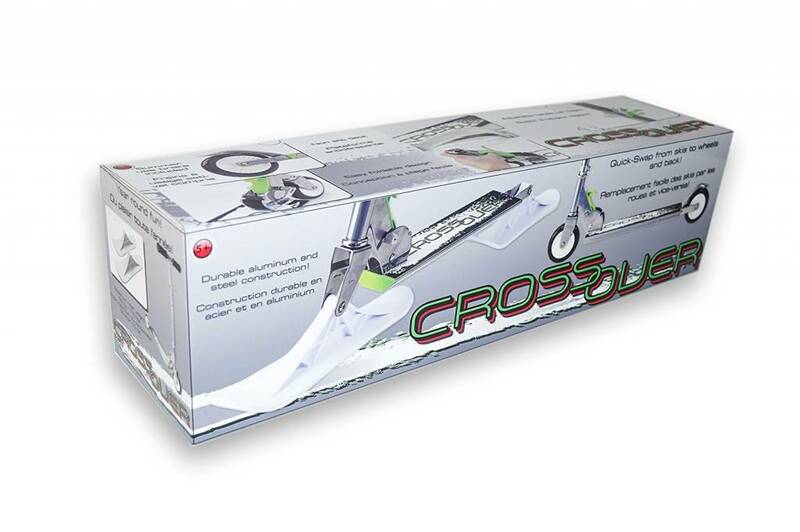 With a foldable frame, the Crossover is easy to store and easy to take anywhere. The Crossover is designed with safety and durability in mind. The frame is made from an Aluminum/steel combination which makes it both lightweight and strong. Skis are made of durable high density polyethylene and designed with snow- tracking treads. 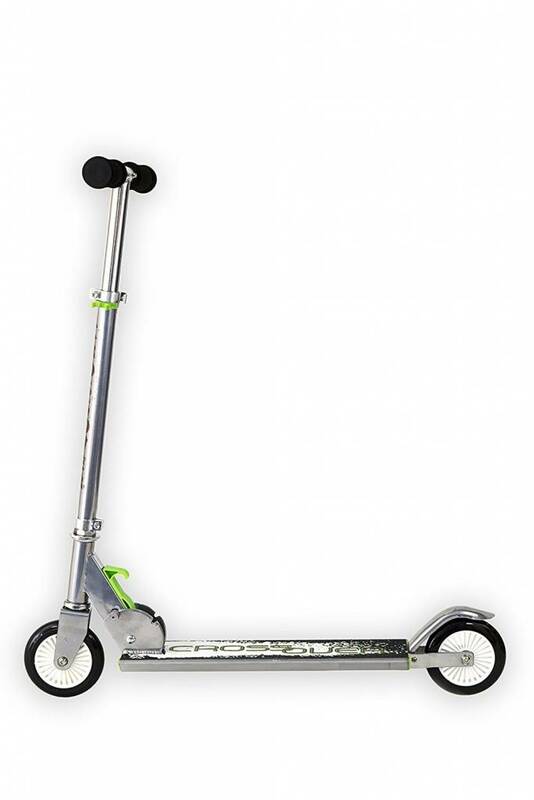 Large 4.75” wheels have metal bearings that provide a stable and smooth ride. Easy-grip foam covered T-Bar handles easily extend out to snap into clips for compact storing. Frame easily adjusts from 29.75” to 31.75”H to accommodate your growing child. 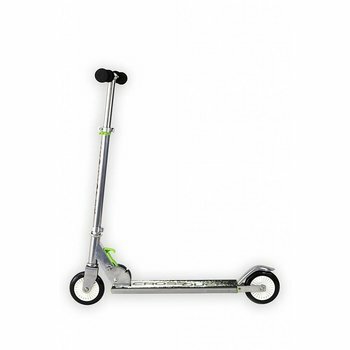 Includes 1 scooter, set of 2 wheels, set of 2 skis, conversion tools. Ages 5 – 9 yrs.